A natural, cruelty free eye cream from Skin Blossom made with certified organic ingredients that will revive and revitalise tired-looking eyes. The special blend of green tea, eyebright and buckwheat will reduce puffiness, dryness and dark circles to leave you with bright, rejuvenated eyes. Free from parabens, SLS and any harsh chemical ingredients. 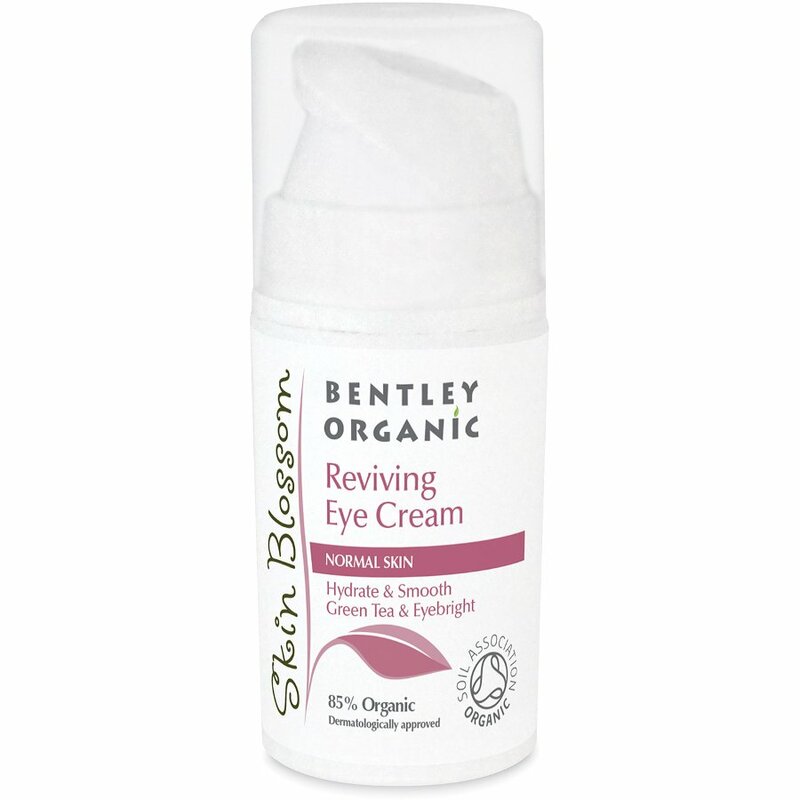 There are currently no questions to display about Bentley Organic Skin Blossom Reviving Eye Cream - 15ml.